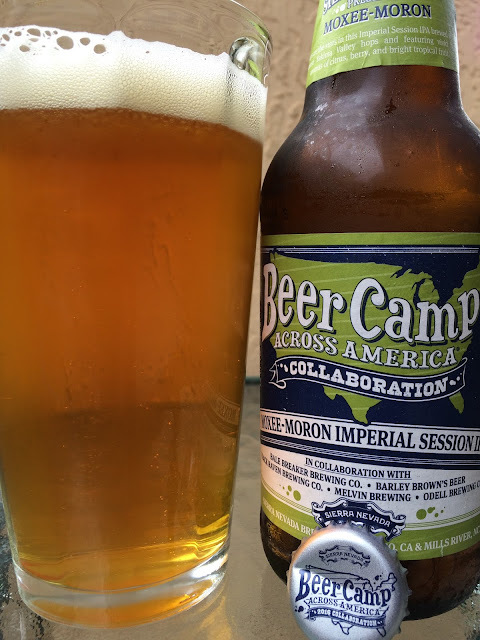 Today I'm trying Moxee-Moron Imperial Session IPA, the Beer Camp entry highlighting the "hop-bomb heritage" of the Pacific Northwest. The brewers from Bale Breaker, Barley Brown's, Black Raven, Melvin Brewing and Odell decided to make an Imperial Session IPA clocking in at 7.5% alcohol. Citrus and tropical orange aroma. Similar flavors to start, tropical orange and citrus. However, there is also a resinous, dank, fresh bitterness that accompanies that brief sweet start. Spicy, peppery. Some alcohol and dryness show at the finish as well. Little balance, as promised, a hop bomb. 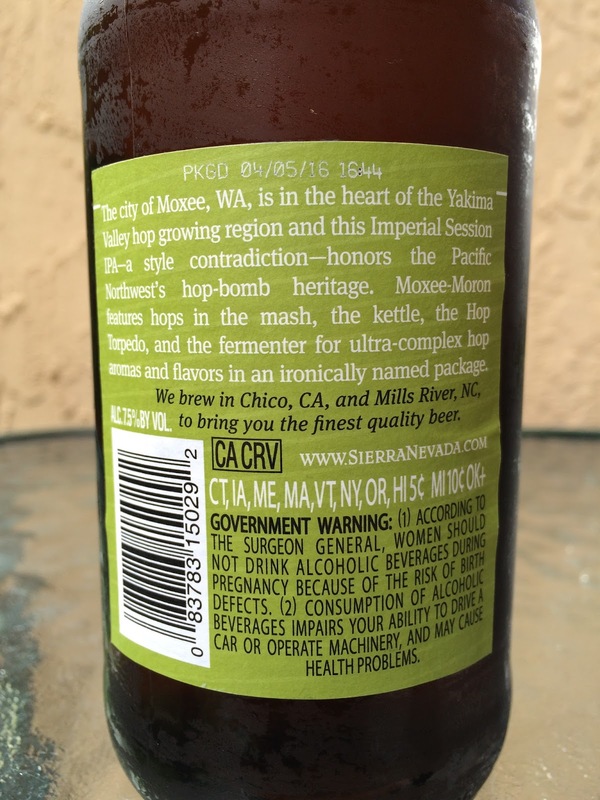 "Weed like" resinous aftertaste lingers until you wash it away with your next sip! One of the best in the box.